Kensei has released the striking new Kensei Shugenja. 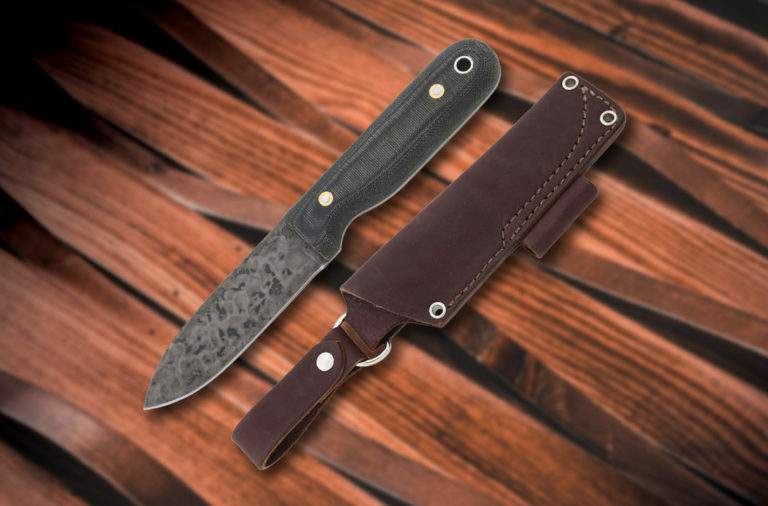 This beautiful fixed blade knife features a 7″ black stonewashed spear point blade, which makes a striking contrast to the copper front and back bolsters. We expect that as it ages, and as the copper gets its notorious patina, this elegant knife will only become more beautiful. 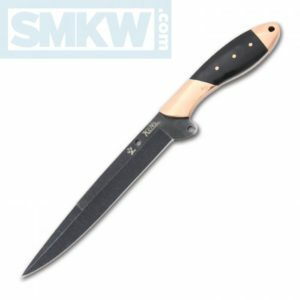 This knife has a flared guard with multiple lashing holes and comes with a sturdy, black ballistic nylon and leather belt sheath that can be worn either vertically or horizontally. 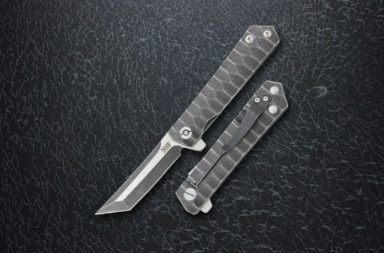 Overall, this knife has a very nice balance with an excellent feel. At just under 12″, it’s got a very manageable length, and doesn’t feel at all unwieldy. 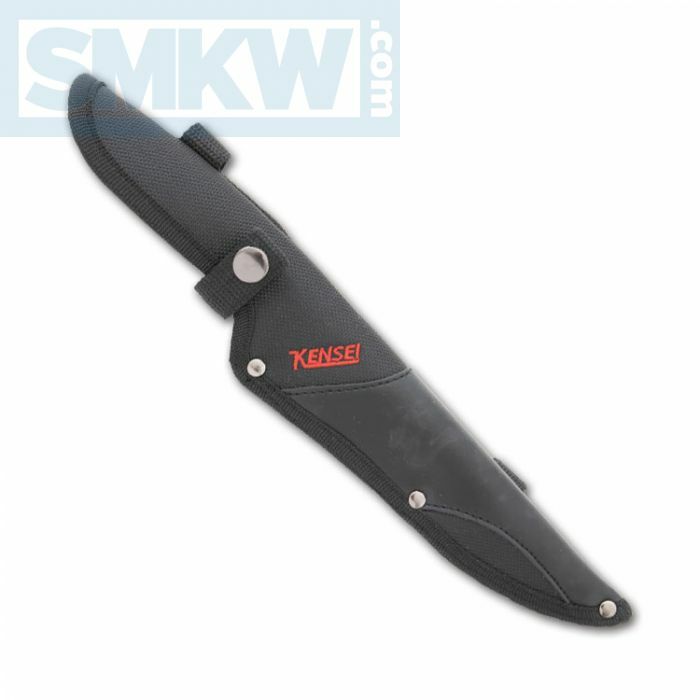 The handle swells to fit nicely in your palm and likely won’t roll too much in your hand. 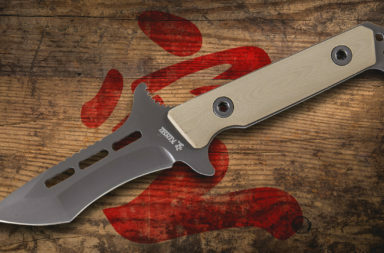 It’s full tang construction means it should be sturdy and capable to withstand a variety of tests. The Kensei Shugenja is a beautiful addition to the Kensei line. If you’re interested in this knife, click any link in this article or simply click the button below.